MOUNTAIN VIEW, Calif. (CelebrityAccess) — Authorities reported the arrests of more than 60 people at an outdoor EDM concert at the Shoreline Amphitheatre. According to local NBC affiliate KNTV, most of the arrests were related to drug offenses. The two-day festival, Beyond Wonderland, was promoted by Insomniac Events, the company behind the Electric Daisy events. 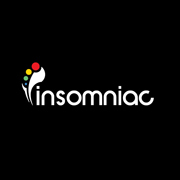 This marks the 4th year for the festival, since Insomniac launched the event in 2010.